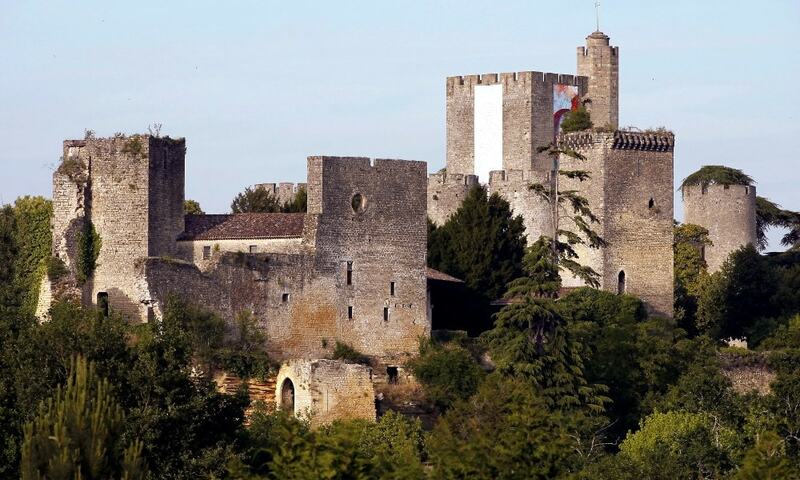 The Castle of Roquetaillade is a complex that consists of two stone fortresses in the same enclosure. Set in the midst of a large tree-park, the castle is one of the most visited in the Bordeaux region. The first fortification was built in the early 12th century by Charlemagne; nothing, but imposing ruins remain of this structure. In 1306, Cardinal Gaillard de la Mothe, nephew of Pope Clement V built the second fortress (the New Castle). The structure consisted of a square building with six towers and a central keep. The New Castle was subject to a massive restoration in the 19th century by Viollet-le-Duc. With the help of one of his pupils, he was able to transform the fortress into a beautiful residence, with extraordinary interior decorations, furnishings, and paintings. The renovations accomplished by Viollet-le-Duc are a key reason for this castle being listed as French Heritage. The Chateau de Roquetaillade has been in the same family for 700 years. Besides admiring the amazing decorations created by Viollet-le-Duc, visitors can taste the famous white wine Chateaufort de Roquetaillade. The park includes remains of the medieval curtain and a chapel whose interior is of oriental style. The castle has been also used as a film location.